Gabriel Yoshi Peters-Lazaro, M.F.A., Ph.D.
Gabriel Peters-Lazaro researches, designs and produces digital media for innovative learning with a current emphasis on Civic Imagination and Hypercinemas. Through the Civic Imagination project he combines research and practice to expand our potential for radical change through collective creativity. Through the Hypercinemas Research Group he investigates the continuities between emerging technologies of representation and the earliest experiments of cinema in order to transcend spectacle and achieve a material understanding of current tools and how they can support a critically engaged cinematic practice. As a member of the MacArthur Foundation's Media Activism and Participatory Politics (MAPP) project he worked to develop participatory media resources and curricula to support new forms of civic education and engagement for young people. 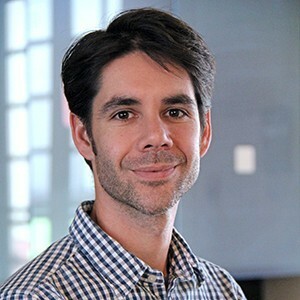 He helped create The Junior AV Club, an action research project that explored mindful media making and sharing as powerful practices of early childhood learning. As a producer and cinematographer he recently completed a feature length documentary on assisted reproductive technologies (ART) called One More Shot which will be released in Fall of 2017. His courses deal with critical media making and theory. He received his B.A. in Film Studies from UC Berkeley, completed his M.F.A in Film Directing and Production at UCLA and holds a Ph.D. in Media Arts + Practice.